After 5-year-old Lauren Hoel underwent her third open-heart surgery in five years, she was, understandably, a little frightened of her postoperative care and recovery. 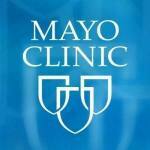 Her care team at Mayo Clinic knew just what to do. Teamwork and careful planning allowed for successful surgery to treat a congenital heart defect in an infant who, for religious reasons, could not receive blood transfusions or blood products.